A cornucopia of delightful jewels make up our brand new and seasonally-changing Gift Arrangement ! 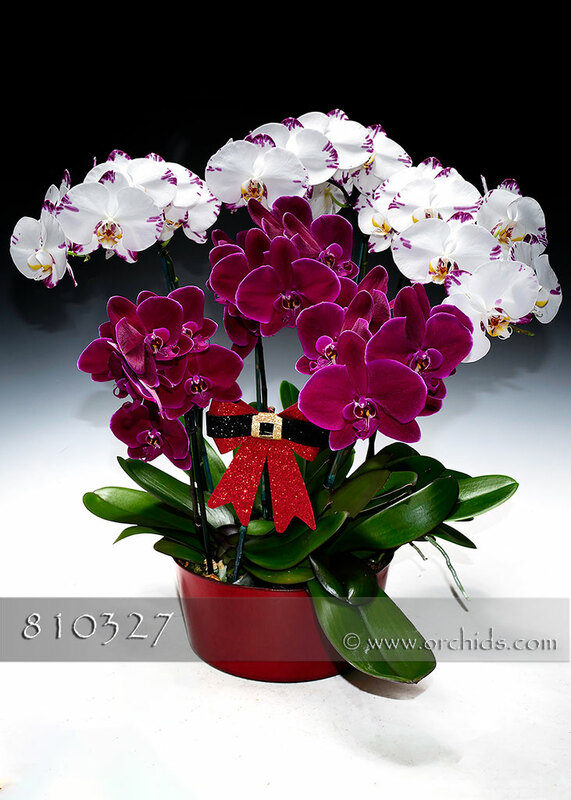 This new Combo will be created by our designers who will hand-select an artistic combination of Phalaenopsis in season, arrange them for their most abundant presentation according to height, color and patterning and tuck them into our 10-11” wide woven bamboo cachepot. As warranted with the changing seasons, our design staff will continue to create new “Precious Jewels” arrangements, each newly-designed Gift Arrangement depicted with a photograph to show its actual presentation. This particular gift, our very first Precious Jewels Gift Arrangement, is making its premiere, as pictured, with the abundance of six complementary orchids! Standing from 22-24” in height, our cornucopia of Phalaenopsis jewels will be softly finished with a touch of jade Spanish moss. For a truly unique Gift Arrangement, this is the one to share !